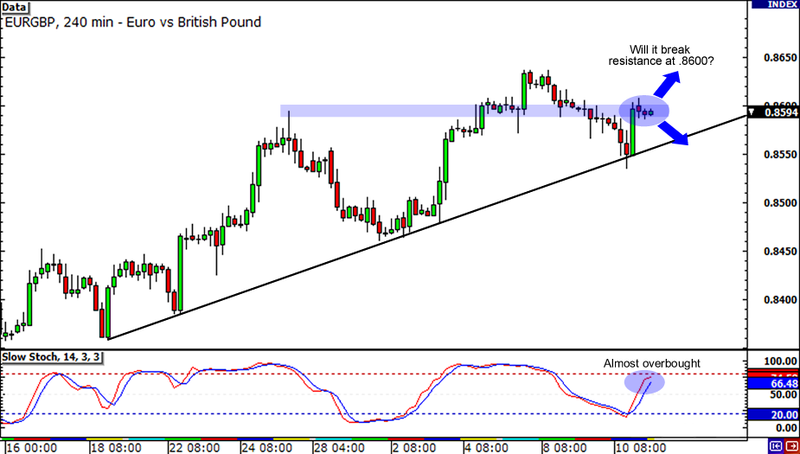 When something’s gotta give, something’s gonna break… In GBP/USD’s case, it’s a rising trend line! Does this mean we’ll be seeing more losses from the GBP/USD? With price finding some support at former lows, it seems it won’t be the case… But, but, the breakdown was pretty convincing, which leads me to believe that we will see the pair continue to fall! For now, keep a finger close on the “sell button” as a test of the 1.6000 psychological handle is very possible. Here’s a Fib play for ya! After reaching a high of 116.00 a few days ago, the euro bulls have been taking a breather and letting the bears take over. 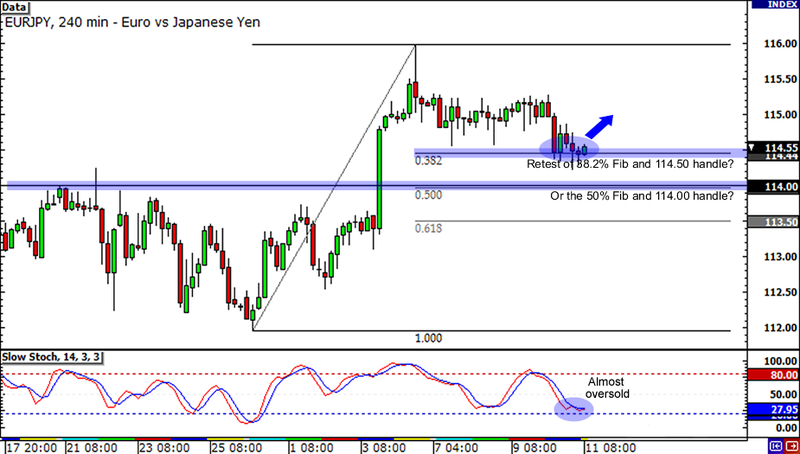 It looks like EUR/JPY is getting ready to bounce though, as it has been stalling at the 38% Fib near the 114.50 handle. But wait! The 114.00 area is also looking delectable for the bears! Aside from being near the 50% Fibonacci retracement, the level has also served as resistance for the pair. Stochastic is almost but not quite in the oversold region, so keep close tabs on this Fib battle! Look at EUR/GBP go! 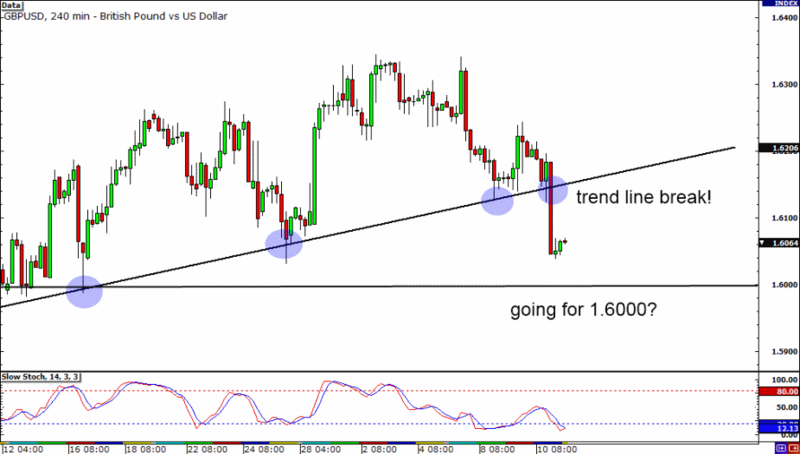 For the past few days the pair has been rocketeering in the 4-hour chart with a rising trend line acting as support. Will it finally break resistance at the .8600 handle today? The pair has been popping up small candles around the area, and Stochastic is already fast approaching the overbought region. If you’re feeling the bearish vibes you can aim for the .8500 former support at the break of the trend line, but you can also grab a few pips to the .8650 level if the pair breaks its resistance.